With just 2 (or 3) ingredients this couldn’t be simpler and it’s so satisfying and delicious! 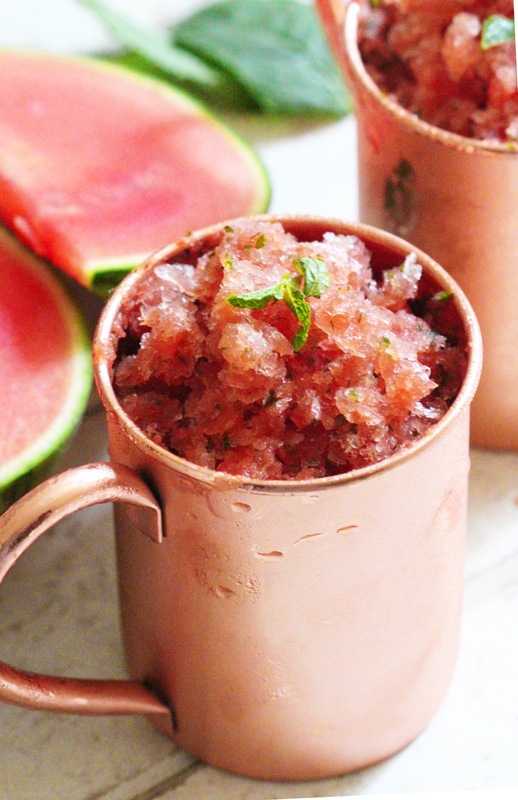 The mint intensifies the watermelon’s natural sweetness making this a super sweet treat without adding anything. You can add in a little lime juice if you like, with and without are equally delicious. 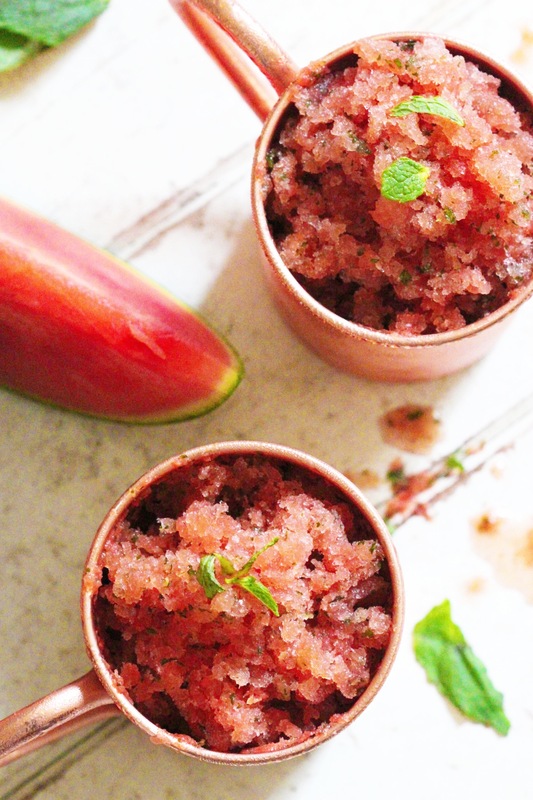 Just scoop, blitz and freeze and you’ll have the best healthy summer snack full of vitamin C.
Scoop the flesh from your watermelon and add it to your blender with the fresh mint and lime juice (if using). Blend until smooth, it will be quite runny. Pour the mixture into a bread tin or similar container and pop it in the freezer for a few hours to set. Use a spoon or ice cream scoop to scrape it into icy flakes and serve with a spoon. That looks so refreshing and so simple to make! I will definitely try this out. Do you know how long it can stay in the freezer for if I don’t want to eat it all at once? I looove the flavor of watermelon and mint together. This looks so refreshing for the 100 degree weather we are having here in DC!